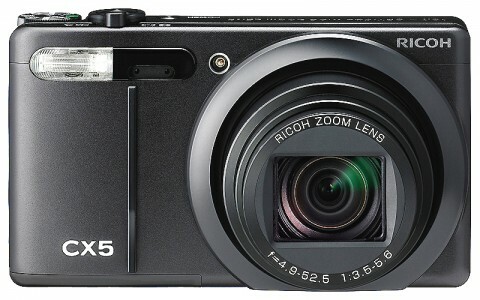 The new CX5 from Ricoh is a compact superzoom featuring wide angle lens and up to 10.7x optical zoom. It also features better focusing time than its predecessors : as low as 0.2sec (or both wide-angle 28 mm and telephoto 300 mm) grace of the new hybrid AF system developed by Ricoh. The camera comes with a 3.0-inch, 920,000-dot LCD monitor with fluorine coat to prevent soiling, a hard coat to prevent scratches, and an anti-reflection (AR) coat designed to protect the screen against dirt and damage. 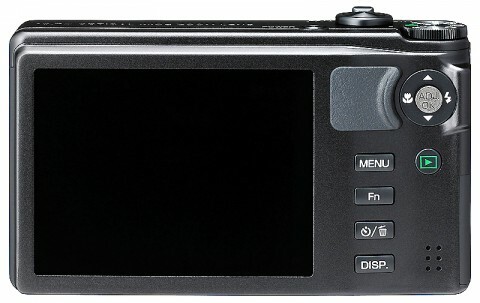 The CX5 digital camera can also shoot movies at 720p resolution and is equipped with HDMI connectors.